In his new book, Angus Deaton, an expert’s expert on global poverty and foreign aid, puts his considerable reputation on the line and declares that foreign aid does more harm than good. It corrupts governments and rarely reaches the poor, he argues, and it is high time for the paternalistic West to step away and allow the developing world to solve its own problems. It is a provocative and cogently argued claim. The only odd part is how it is made. It is tacked on as the concluding section of “The Great Escape: Health, Wealth, and the Origins of Inequality” (Princeton University Press, 360 pages), an illuminating and inspiring history of how mankind’s longevity and prosperity have soared to breathtaking heights in modern times. Mr. Deaton is the Eisenhower Professor of Economics and International Affairs at Princeton. He has spent decades working with the World Bank in creating basic yardsticks for measuring global poverty and with the Gallup Organization in creating survey-based measures of well-being. 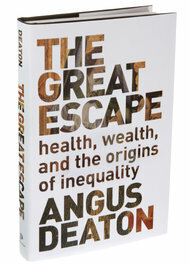 The “great escape” of the title, he writes, is “the story of mankind’s escaping from deprivation and early death.” His book gives a stirring overview of the economic progress and medical milestones that, starting with the Industrial Revolution and accelerating after World War II, have caused life expectancies to soar. There are 2 major political parties in America. I’m a member of the naïve, stupid, and cowardly one. I’m a Republican. How stupid is the GOP? They still don’t get it. I told them 5 years ago, 2 books ago, a national bestseller ago (“The Ultimate Obama Survival Guide”), and in hundreds of articles and commentaries, that Obamacare was never meant to help America, or heal the sick, or lower healthcare costs, or lower the debt, or expand the economy. The GOP needs to stop calling Obamacare a “trainwreck.” That means it’s a mistake, or accident. That means it’s a gigantic flop, or failure. It’s NOT. This is a brilliant, cynical, and purposeful attempt to damage the U.S. economy, kill jobs, and bring down capitalism. It’s not a failure, it’s Obama’s grand success. It’s not a “trainwreck,” Obamacare is a suicide attack. He wants to hurt us, to bring us to our knees, to capitulate- so we agree under duress to accept big government. Obama’s hero and mentor was Saul Alinsky- a radical Marxist intent on destroying capitalism. Alinksky’s stated advice was to call the other guy “a terrorist” to hide your own intensions. To scream that the other guy is “ruining America,” while you are the one actually plotting the destruction of America. To claim again and again…in every sentence of every speech…that you are “saving the middle class,” while you are busy wiping out the middle class. The GOP is so stupid they can’t see it. There are no mistakes here. This is a planned purposeful attack. The tell-tale sign isn’t the disastrous start to Obamacare. Or the devastating effect the new taxes are having on the economy. Or the death of full-time jobs. Or the overwhelming debt. Or the dramatic increases in health insurance rates. Or the 70% of doctors now thinking of retiring- bringing on a healthcare crisis of unimaginable proportions. Forget all that. The real sign that this is a purposeful attack upon capitalism is how many Obama administration members and Democratic Congressmen are openly calling Tea Party Republicans and anyone who wants to stop Obamacare “terrorists.” There’s the clue. Even the clueless GOP should be able to see that. They are calling the reasonable people…the patriots…the people who believe in the Constitution…the people who believe exactly what the Founding Fathers believed…the people who want to take power away from corrupt politicians who have put America $17 trillion in debt…terrorists? That’s because they are Saul Alinsky-ing the GOP. The people trying to purposely hurt America, capitalism and the middle class…are calling the patriots by a terrible name to fool, confuse and distract the public. 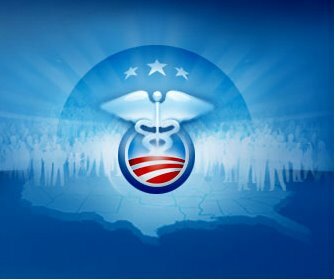 Obamacare is a raving, rollicking, fantastic success. Stop calling it a failure. Here is what it was created to do. It is succeeding on all counts. A 30-year-old federal law created to protect the right of Christian students to gather now is being used to protect the rights of students with opposite beliefs. 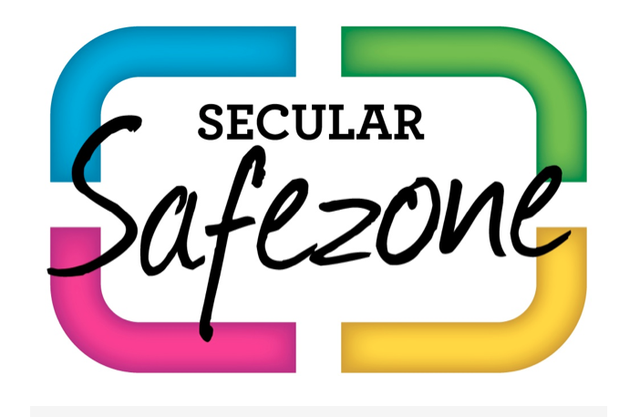 This school year, the Secular Student Alliance, a national organization advocating the rights of nonreligious students, has created “secular safe zones” on 26 college and high school campuses throughout the country. “Christianity is so prevalent in society that it’s taken as the norm and to many atheists it’s off-putting,” said the alliance’s spokesman Jesse Galef. Mr. Galef said the safe zones — rooms or areas set aside specifically for nonreligious students — can help build community, foster service projects and educate individuals about atheism. The safe zones are overseen primarily by student leaders and faculty member allies. In recent years, members of the lesbian, gay, bisexual and transgender movement were the first to exploit the Equal Protection Act to extend protection to new categories of students who were not necessarily Christian. “We’re taking a page right out of [the LGBT] playbook,” Mr. Galef said. The safe-zone phenomenon comes amid what demographers say is a pronounced increase in the number of nonbelievers in the past four decades. Since 1972, the number of atheists globally has nearly tripled, while religiosity in the United States has declined from 73 percent in 2005 to 60 percent in 2012, according to the poll Global Index of Religiosity and Atheism.